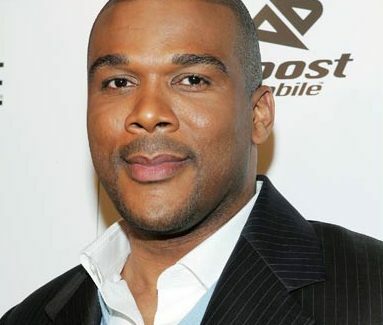 Lionsgate has extended its first look movie and home entertainment deal with filmmaker Tyler Perry for at least another two years, continuing a partnership dating back to 2005. According to Variety, the agreement calls for Perry to deliver at least two more "Madea" movies, among other possible films. Perry's 10 films for Lionsgate over the past six years have grossed more than $520 million at the North American box office while his DVDs have sold more than 40 million units, Lionsgate noted in its announcement today by co-chairman and CEO Jon Feltheimer and Perry. "Tyler Perry is one of the most powerful and unique entertainment brands in the world today, with a fan base that is virtually unrivalled in its loyalty and passion," Feltheimer said. "Lionsgate and Tyler have grown together for many years, and we look forward to pushing the envelopes of our businesses together for many years to come. Tyler is a remarkable creative force, and it is a privilege to support his efforts to continue to enlarge his audience and extend his creative reach." Lionsgate's releasing "Madea's Big Happy Family" on April 22, 2011 and the upcoming comedy "We the Peeples," which Perry produced. The deal also includes an option of additional films with Perry attached as a producer, writer, director and/or star to be made in conjunction with Perry's production companies 34th Street Films, Very Perry Films, and Tyler Perry Studios. "Together, Lionsgate and I have built the ideal filmmaker/studio relationship, and I'm thrilled that it will be continuing. We share an entrepreneurial spirit and have a great business rapport," Perry said Thursday. "But more importantly, Lionsgate has been incredibly affirming of my relationship with my audience – I've always had the artistic freedom to speak what I want, how I want, and when I want through my films." Perry also produces TV shows "Tyler Perry's House of Payne" and spinoff "Meet The Browns," which are distributed by Lionsgate's Debmar-Mercury syndication arm. The filmmaker will receive CinemaCon's Visionary Award for filmmaking tonight (March 31) in Las Vegas.